COCOA, Florida - The Cocoa Police Department has been notified of a planned Black Lives Matter march that will occur on Friday, July 15, 2016, at 6 p.m. 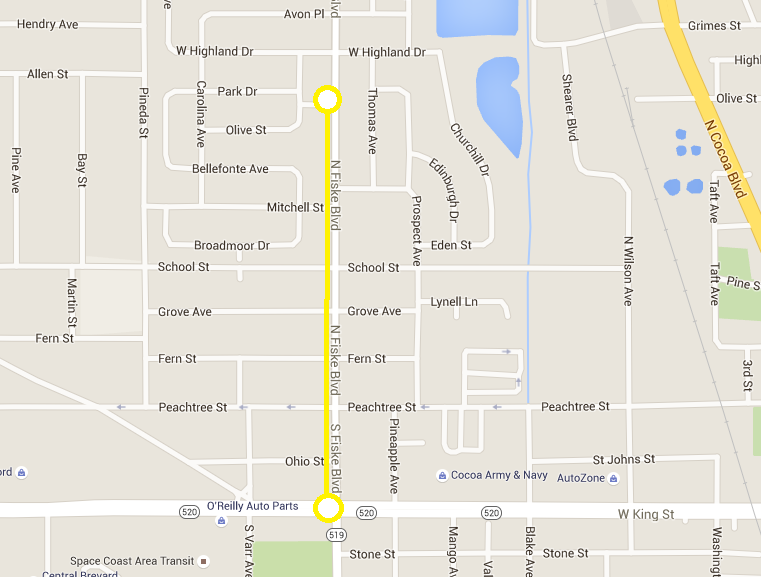 The approximately half-mile march will depart from the intersection of Fiske Boulevard and State Road 520, and then head north to Anderson Park in Cocoa, Florida. The march will then return the original starting point at Fiske Boulevard and State Road 520. The Cocoa Police Department will be monitoring the event to insure traffic and pedestrian safety. Anyone with questions or concerns may contact the Cocoa Police Department at 321-639-7620.